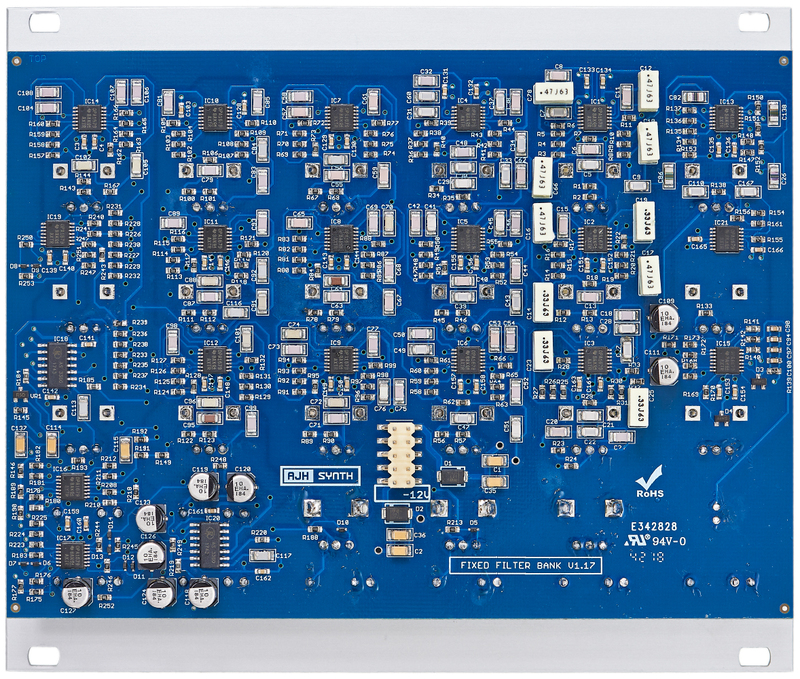 The module features twelve fixed frequency, inductor based bandpass filters, from 125 Hz to 5,8 kHz. 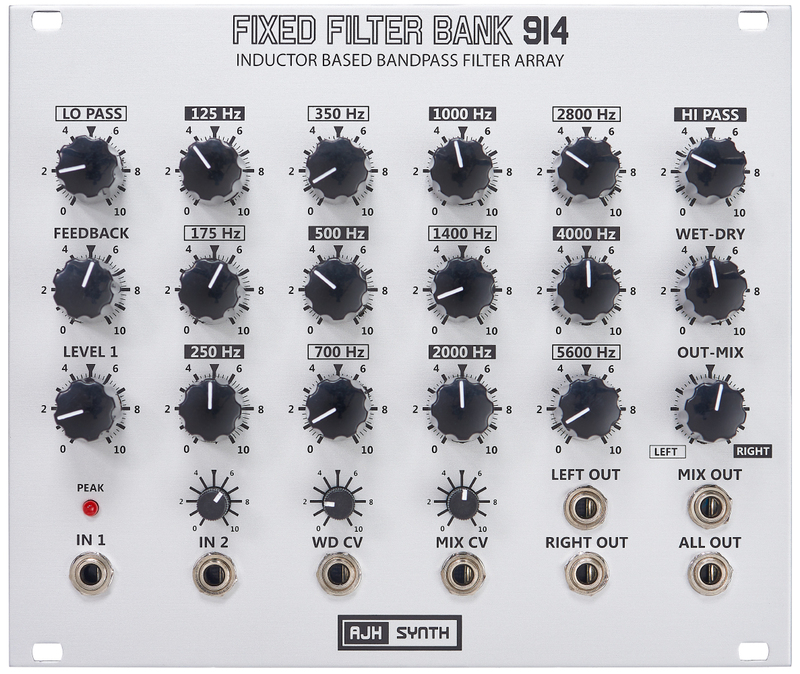 Additionally it provides low pass and high pass shelf filters. The bands are split to left and right channels. 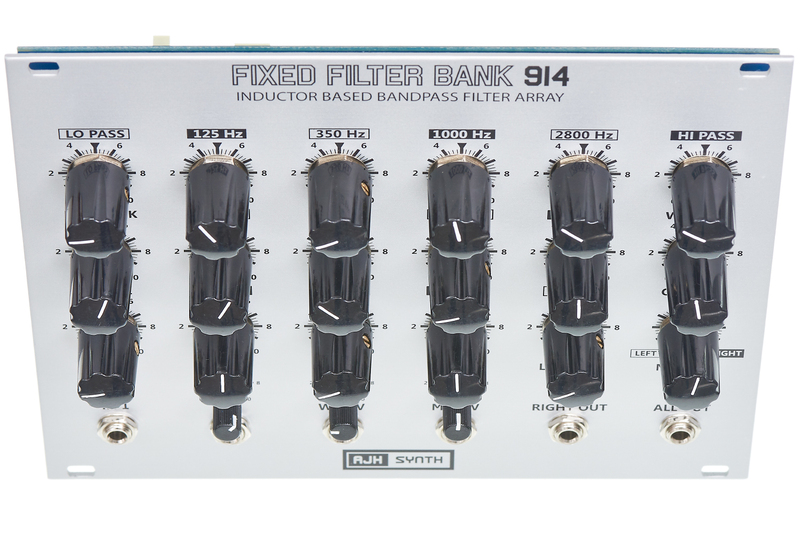 The inbuilt voltage controlled crossfader allows panning between left and right banks, with a mix of all bands available in the central position. 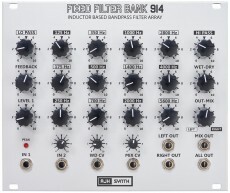 Furthermore there is another crossfader which enables blending between the incoming signal at input 1 or 2 and the wet mix output. The biggest addition to the original design is the feedback control.